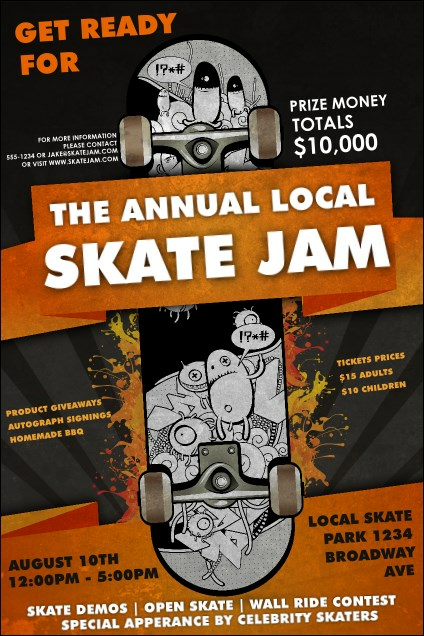 Make a big statement about your competition around your city with the Skateboarding Poster. This urban design features twenty-five lines for all your event details, with flaming orange highlights on a grey background. Ramp up your promotions with the right design! Find more youthful designs at TicketPrinting.com.